Larry Cohen, the veteran writer and director best known for his work in innovative cult classics such as It's Alive, Hell Up in Harlem, God Told Me To and Black Caesar, has died. He was 77. His death was confirmed by his friend, actor and publicist, Shade Rupe. Rupe told The Hollywood Reporter that Cohen passed away on Saturday, March 23, in Los Angeles surrounded by loved ones. Cohen, who was the older brother of late Hollywood publicist Ronni Chasen, began his career in the late 1950s by writing for television. He created NBC's Branded starring Chuck Connors and ABC's cult sci-fi drama The Invaders starring Roy Thinnes. Most recently, Cohen wrote the screenplay for Joel Schumacher's thriller Phone Booth (2002) starring Colin Farrell. His work felt edgier and more impactful than similar low-budget fare by stocking his films with sly social commentary. He wrote an episode of NYPD Blue for ABC and directed for the last time on an installment of Showtime's Masters of Horror in 2006. Cohen was honored with the George Pal Memorial Award by the Academy of Science Fiction, Fantasy and Horror Films in 1988. He was married to Janelle Webb from 1964 to 1987. They shared five children, Pam, Jill, Melissa, Victoria, Bobby and Louis. Additionally, he is survived by his second wife, Cynthia Costas Cohen. 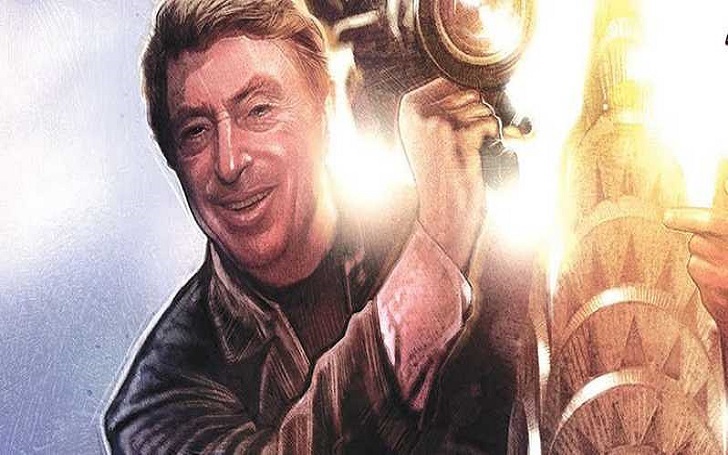 Rest In Peace Larry Cohen!